Moist mango infused white cake with a tangy mango cream frosting, garnished with a slice of sugar dusted dried mango slice. Fluffy white coconut macadamia cake topped with a sweet pineapple cream cheese frosting. Try a taste of Hawaii! A classic in cupcake form! 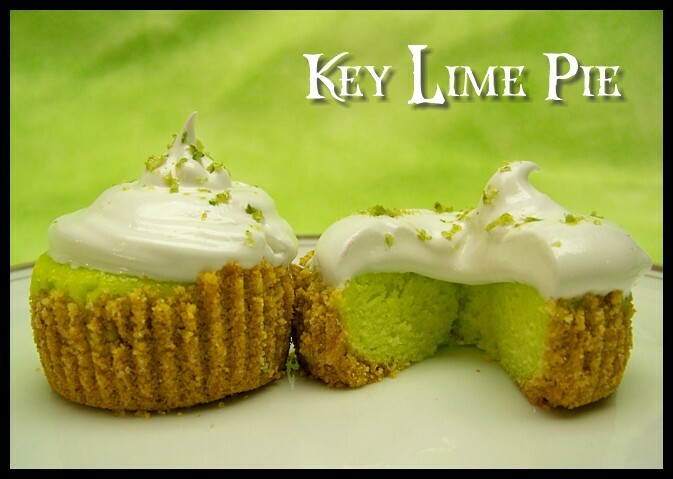 Key Lime cake lined with a graham crust, topped with a fluffy meringue icing and lime zest. A white peach cake baked with fresh peach tidbits, capped by a sweet cream cheese frosting to send you into tastebud paradise. A fluffy angel food cupcake, topped with a sweet strawberry meringue swiss buttercream frosting and a slice of fresh strawberry.